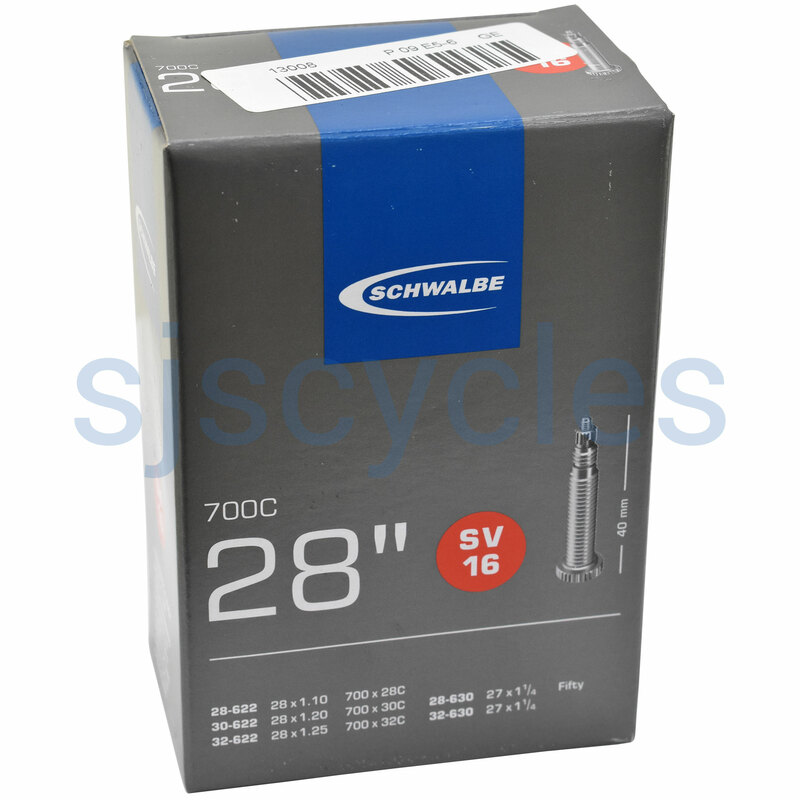 Schwalbe tubes are designed & manufactured to retain air pressure considerably longer than their competitors. Not only is each individual tube inflated & inserted into a mould to ensure that there is even wall thickness & excellent air retention, they are also stored under pressure for 24hrs to test air retention. Valve length of 40mm for Standard version. Weight 115g. It's hard to get excited about an inner tube but these do the job without fuss. As the previous customer wrote: good tubes, right price. What else is there to say, good tubes, right price. Nothing wrong with these. Literature on SJS Description sums it up. Valve (presta) is especially good because it's kind to your pump head.